"Hello, Neo. Do you know who this is? Morpheus!" Ah, the memories. Even in its silly, banana-yellow attire, the new Nokia 8110 4G just seems to tickle the nostalgia bone the right way. After the wave of retro-enthusiasm, sparked by the Nokia 3310 (2017), HMD decided to sink its teeth into the Nokia resurrection game even further. Out came the peculiar curved slider that recently landed in the office for review. 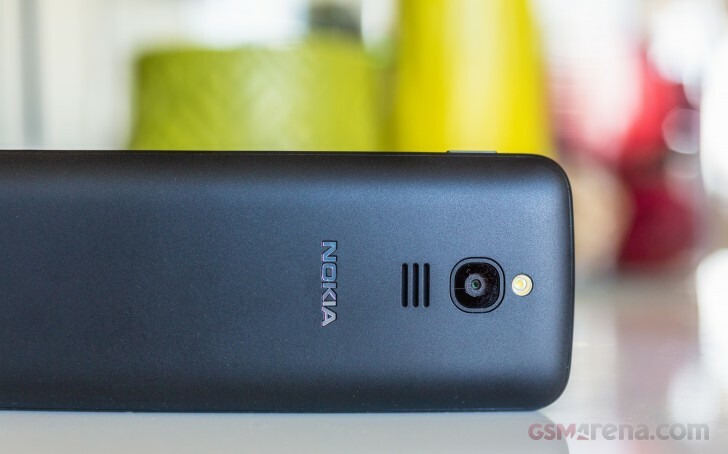 If nothing else, the Nokia 8110 4G is undoubtedly different and stands out in the never-ending sea of bland "slab" Android smartphones. Physically, it has that undeniable and very distinct 90s appeal. For anybody who grew up back then, this is the proverbial gateway to the Matrix. Mr. Anderson's phone. For many of us, still an object of desire after all these years. Well, preferably one with the spring-loaded mechanism of the Nokia 7110, but you get the idea. But looking beyond the nostalgia train, the fact of the matter is the Nokia 8110 4G is a very different and in a lot of ways interesting 2018 device for other reasons, as well. While its appearance screams featurephone, in reality, it sits somewhere in between traditional featurephone and modern smartphone territory. That's, in part, thanks to its pretty stacked list of connectivity options, including Wi-Fi, Bluetooth 4.1, GPS and, most importantly - LTE. The latter is particularly vital for emerging markets, where most of the communication infrastructure is based on LTE and newer standards. 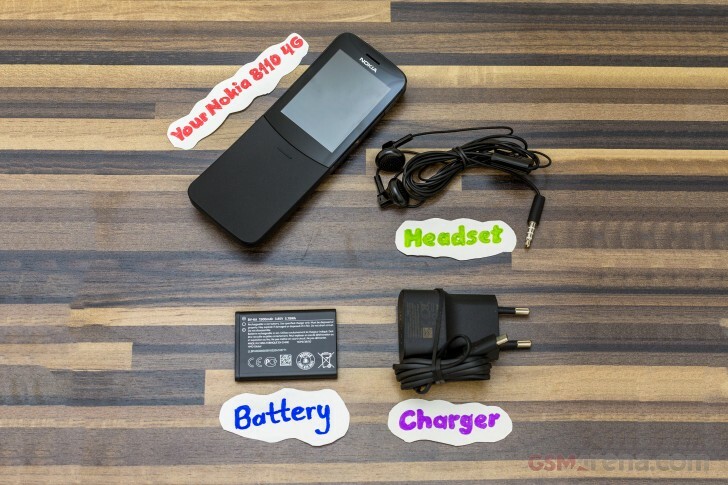 With support for these, the Nokia 8110 4G has all it needs to be a basic gateway to the internet, on a budget. Software is the other major piece in the puzzle. The Nokia 8110 4G uses KaiOS. It might not be popular in the western world, but it has actually been gaining popularity and ramping up users quickly, through devices, like the India-exclusive JioPhone. JIO has practically been giving these out for free to its customers, along with very affordable data plans, which KaiOS is surprisingly well equipped to take advantage off. KaiOS goes beyond a regular old browser. In fact, the entire OS is kind of a browser, much like Chrome OS. It can trace its roots back to the now-defunct Firefox OS and, as such, can take advantage of most modern web app technology on a native level. All off this, topped off with an interface optimized for non-touch operation with a keypad. Now KaiOS has its ups and downs in terms of current functionality and ease of use. In fact, the same is true about the Nokia 8110 4G, as a whole. We will delve into some more detail in the following pages. However, rough or not, these new cheap devices, along with the new breed of light web-based OS are clearly gaining traction in emerging markets and filling a quite important technological niche. On those grounds alone, we can admire the effort and try to understand just how far 2018 featurephones have come and identified the challenges that lie ahead. The Nokia 8110 4G ships in a rather unconventional, "two-decker" plastic box. It's transparent, so you can see the phone sitting on top, straight away. Part of the top half also doubles as a cover for the bottom. Not really ground-breaking, but definitely different. We do have a full unboxing if you are curious just how the packaging works. Inside the box, you also get a wired pair of earbuds, complete with a microphone. Their exact model appears to be WH-108 and while they do feel a bit cheap, having them included for free is still a nice little treat. Also in the box - the 1,500 mAh battery. Yes, the Nokia 8110 4G does have a removable pack and these are normally shipped disconnected from the unit. Last, but not least, a very tiny wall charger, rated for 5V@550 mAh. That should be plenty since the Nokia 8110 4G can only charge at a rate of 520mAh. But more on that in the battery section. good quality, love the black colour, lit sort of phone. Really got me attention at school.